Going To Publications and its subsidiaries take your privacy seriously. We are committed to protecting any personal information you provide to us. To better protect your privacy, we have listed our policies about how your information is collected and used through SanDiegoPlumbingNow.com and its affiliate websites. We do track how our visitors use this site so that we can see what people like and don't like. We also analyze and aggregate information about use patterns and share the aggregated data with our advertisers (for example, we keep track of how many users see and click on particular advertisements). We may also collect personal information about you via registration for online order submission and surveys. We will not, however, release your name, e-mail address or any other personal information to anyone else outside George Davis Plumbing unless we have your consent or there is an emergency involving personal danger. This means that we will not provide our advertisers or anyone else outside George Davis Plumbing with any information specific to you unless we have your consent. This site provides links and pointers to Web sites maintained by other organizations. George Davis Plumbing provides these links as a convenience to users, but it does not operate, control or endorse such sites. 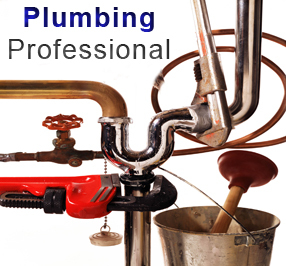 George Davis Plumbing also disclaims any responsibility for the information on those sites and any products or services offered there, and cannot vouch for the privacy policies of such sites. George Davis Plumbing does not make any warranties or representations that any linked sites (or even this site) will function without error or interruption, that defects will be corrected, or that the sites and their servers are free of viruses and other problems that can harm your computer.